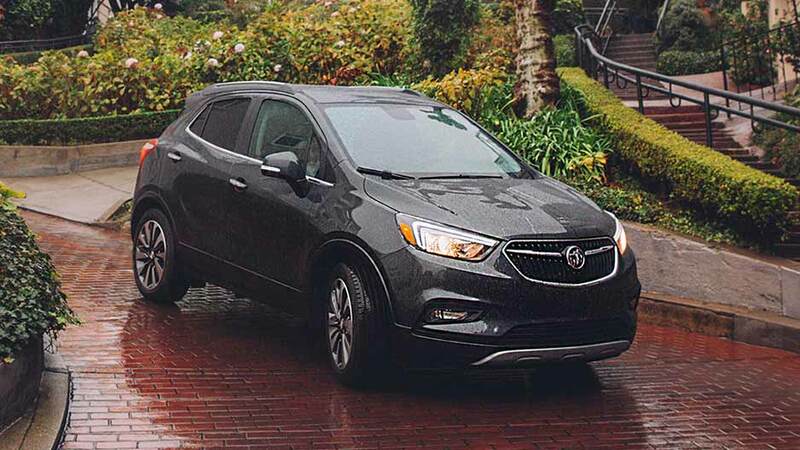 The stylish and sleek 2018 Buick Encore fits perfectly into your life-style. 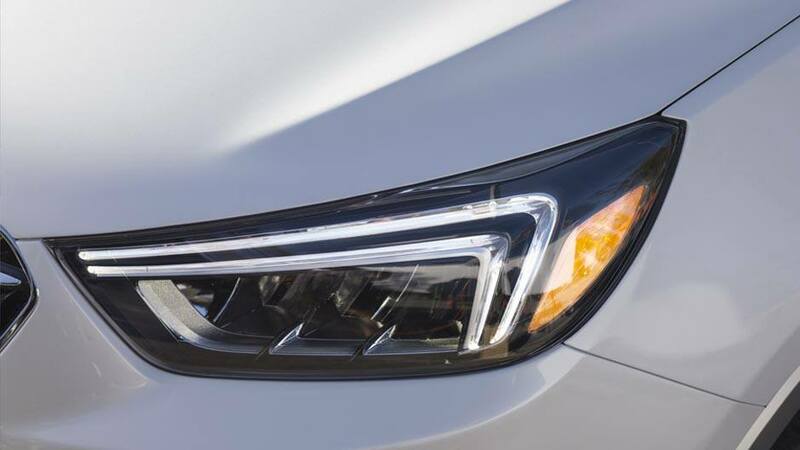 This maneuverable compact luxury SUV turns heads wherever it goes from the very first look at its beautifully sculpted front fascia and grille. The Buick tri-colour shield, horizontal wings and signature grille promise an elegant ride which keeps up with your own sense of sophistication. 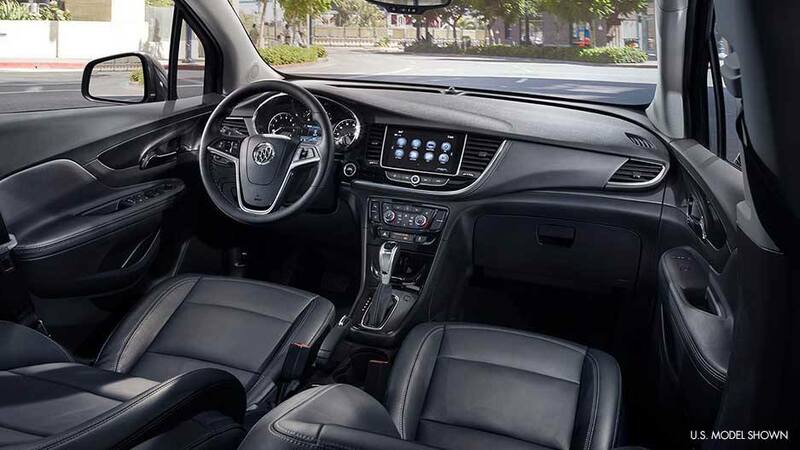 Drive in luxury in the 2018 Buick Encore’s spacious and serene cabin. Elegantly designed accents created with premium materials get you there in comfort. A 4.2-in diagonal Driver Information Center and 8-in diagonal colour touch-screen display give you easy access to the information you want when you need it. No matter what comes your way, your drive will always feel like me time. 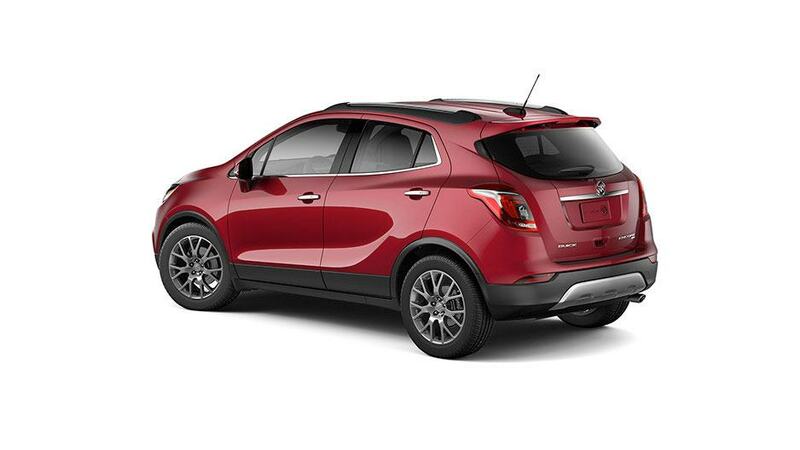 The 2018 Buick Encore was designed with safety in mind. Protect you and your passengers with 10 standard airbags and a variety of available advanced safety technologies. Safety isn’t a luxury, its a priority. Stay alert of vehicles in your blind spots. Available Side Blind Zone Alert monitors your blind zones with radar and uses a visual warning to indicate when other vehicles are nearby. 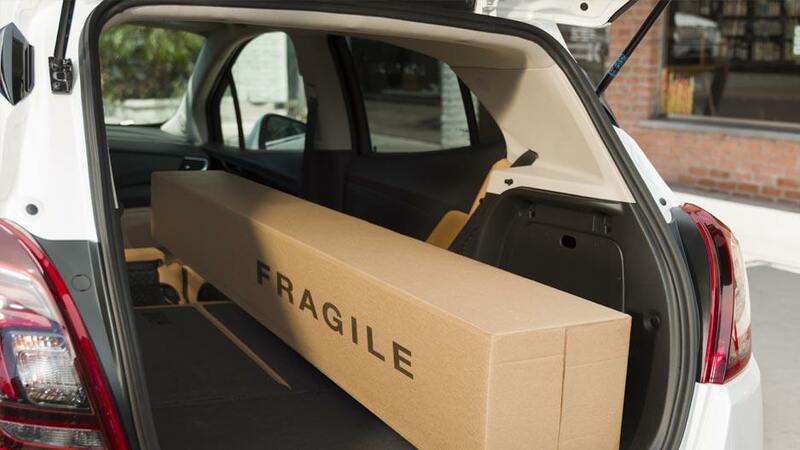 Get the edge you need to prevent a collision before it happens. 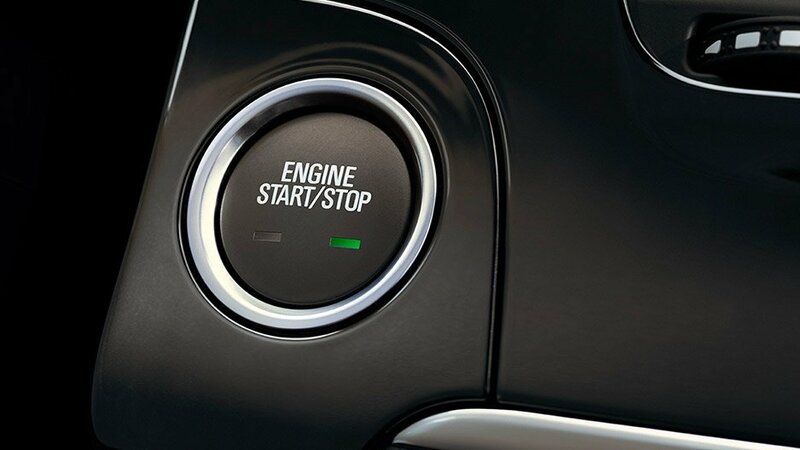 Stay on track with available Lane Departure Warning. If you start changing lanes without activating a turn signal, audio and visual alerts indicate the driver is leaving their lane to help prevent unintentional lane changes or drifting. The available Forward Collision Alert uses both an audible and a visual warning to alert the driver of a vehicle up front getting too close. Quick alerts may help prevent or reduce a frontal collision. Sense vehicles approaching before you even see them with the available Rear Cross Traffic Alert. Radar detects approaching vehicles from up to 20 metres (65’) away and alerts you when your Encore is in reverse. Safety features are no substitute for the driver’s responsibility to operate the vehicle in a safe manner. The driver should remain attentive to traffic, surroundings and road conditions at all times. Read the vehicle Owner's Manual for important feature limitations and information. 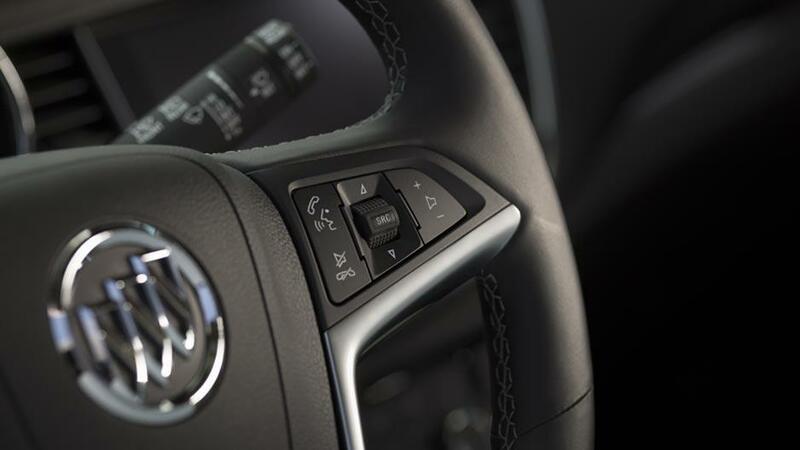 Play your favourite music or make hands-free calls on the Buick Infotainment System with compatible smartphone integration. The beautiful 8-in diagonal colour touch-screen gives you easy access to your media and Available OnStar® 4G LTE with built-in Wi-Fi® hotspot keeps you connected, no matter where your journey takes you. 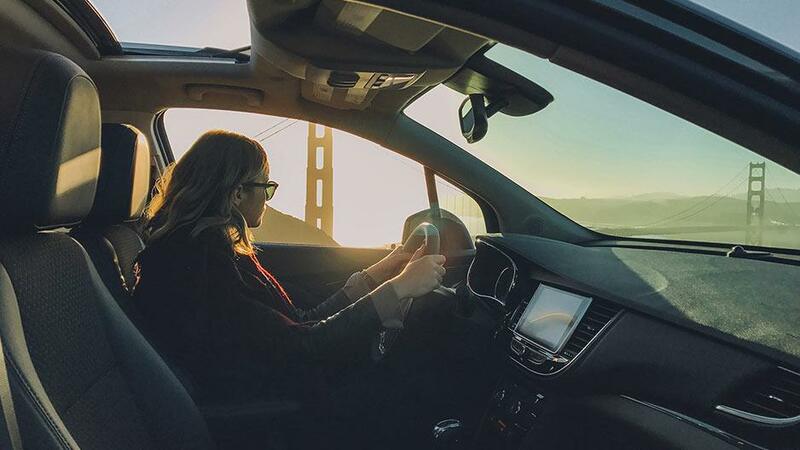 For those serene moments, Buick QuietTuning® and Active Noise Cancellation technologies take a quiet ride to pure tranquility. 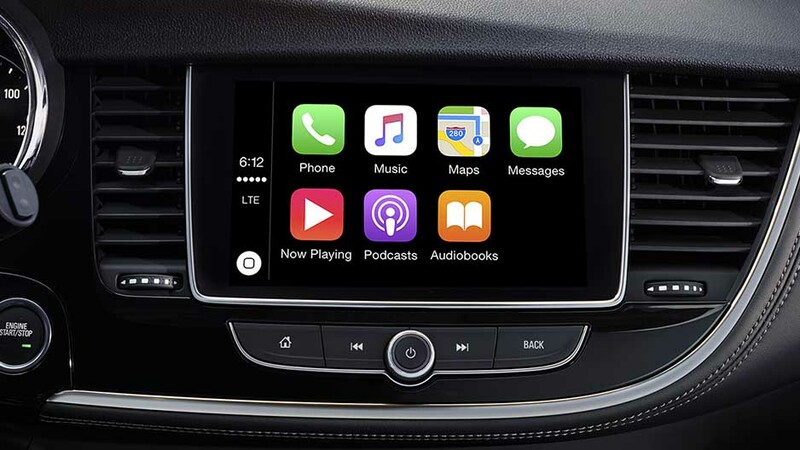 Apple CarPlayTM compatibility is the smart way to use your iPhone in your car. It lets you access Apple Music, Maps, make phone calls, and send messages all through Encore’s touch-screen or with your voice through Siri. Android AutoTM compatibility seamlessly connects your compatible Android smartphone, so you can get directions using Google Maps, listen to music via Play Music, make phone calls, respond to messages and more, all through the Encore’s touch-screen or easy-to-use voice activations. 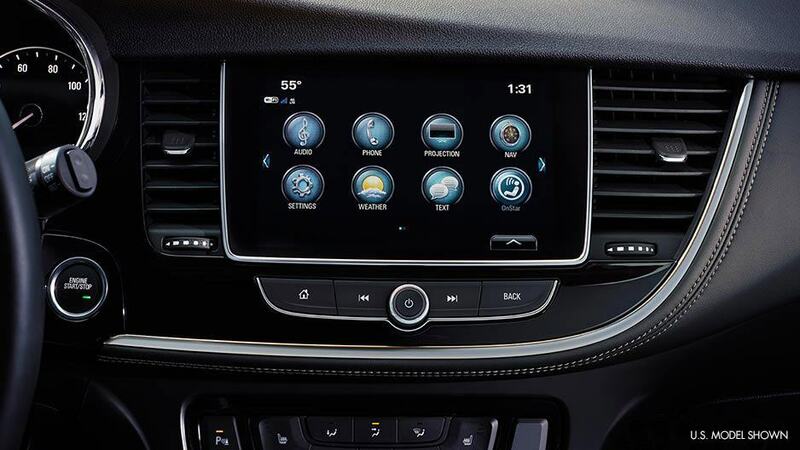 The latest in voice-recognition technology on Encore’s Buick Infotainment System lets you make hands-free calls or play whatever you’re in the mood for — available SiriusXM Satellite Radio (a three-month trial comes standard) or your favourite music — at the sound of your voice. 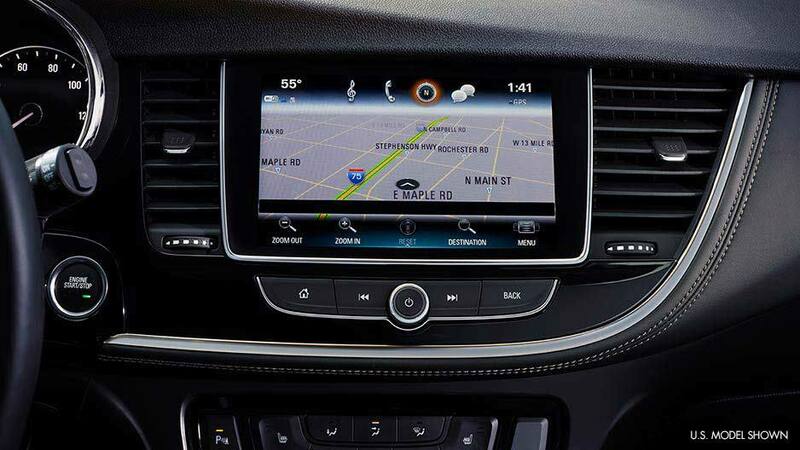 Buick Infotainment System pairs with your compatible smartphone, and allows you to command Siri® via the system as well, all while you keep your hands on the wheel and eyes on the road. 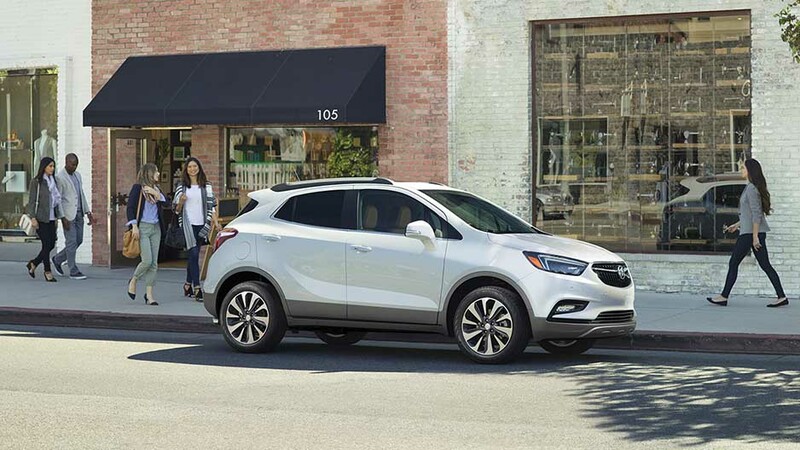 With the Encore compact SUV’s available built-in Navigation system you can access real-time traffic data, get directions or save favorite routes and destinations. 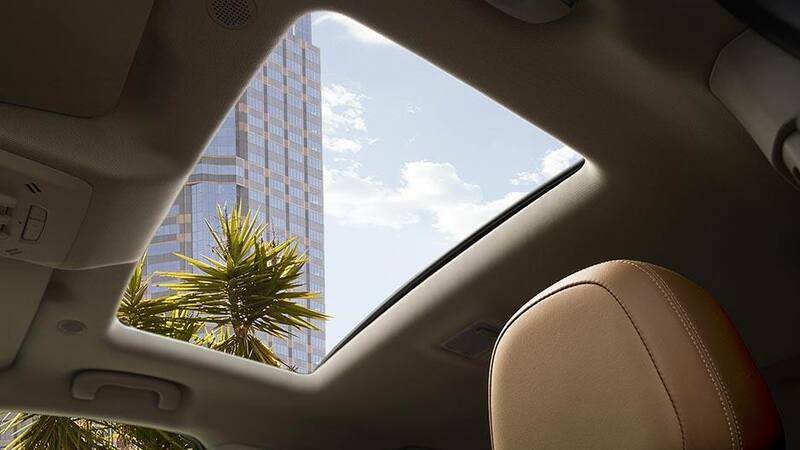 Enjoy every drive without having to worry about where you’re going. 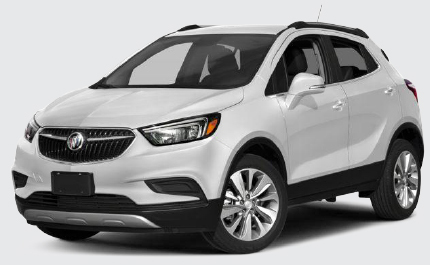 The 2018 Buick Encore, with its efficient 1.4L turbocharged engine, start/stop technology, direct fuel-injection and tight maneuverability handles the road with the level of sophistication and elegance you’ve come to expect. Available All-Wheel Drive constantly monitors each wheel independently to ensure maximum traction. An electronic limited-slip differential transfers power where its needed to help reduce slip. Stay on track with StabiliTrak® technology. A difference between the direction of your wheels and steering wheel triggers quick, precise force to the brakes to keep you in control. 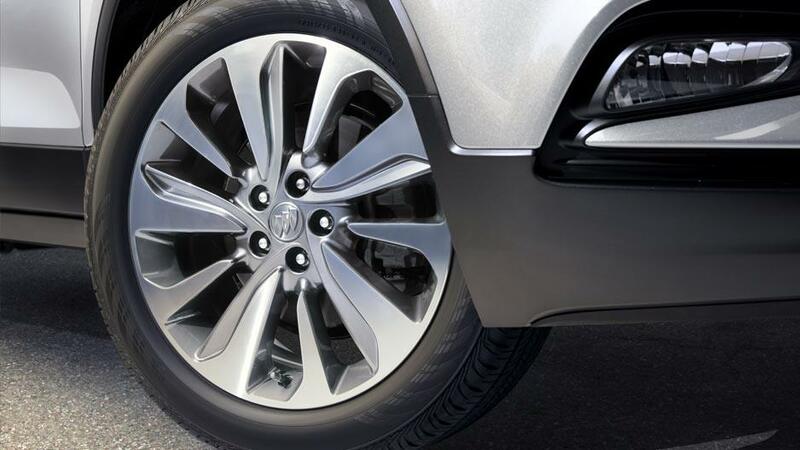 Innovative traction control applies selective braking to reduce wheel spin in wheels independently.